Rippon Homes are very excited to be part of the Government’s Help to Buy scheme which is designed for people who would love to own their own home but do not think it is possible. Help to Buy provides a unique opportunity for both first and some second time purchasers to own a home of their own and get that all important foot on the property ladder, in most cases the repayments on your mortgage will be less than renting a property and from day one you own 100% of your home. 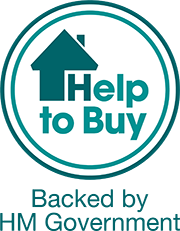 Help to Buy is an arrangement where the Government and ourselves provide a loan of 20% of the purchase price (for a maximum period of 25 years) whilst you the buyer may only need to put in as little as 4% deposit. This really is a “Once in a Lifetime” chance to get a property of your own. We are currently offering Help to Buy on all Rippon Homes developments. Why not give us a call and see how Rippon Homes with Help to Buy can help you.